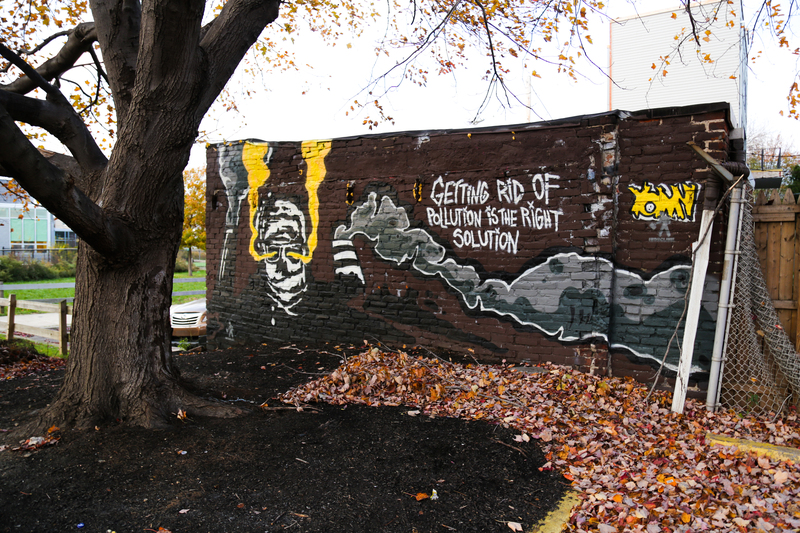 YOMI’s climate change centered creations have come at an even larger scale than wheatpastes, like his Nuclear Fish mural from 2016 in Kensington, and this new mural, Fossil Fools, photographed above located at Blair street near Palmer street in Fishtown! 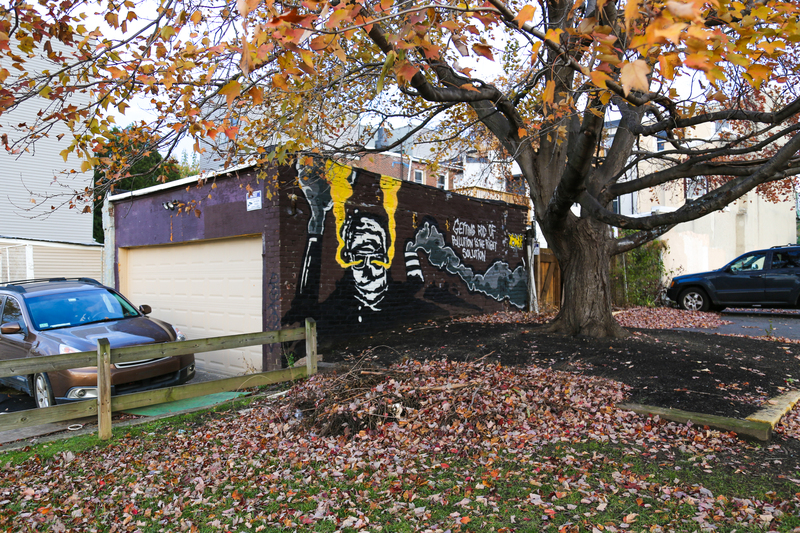 Also relatively new from YOMI (sorry y’all, still catching up on posts from this busy fall) is this collaborative wheatpaste below, Unicorn of the Sea, created with FaithsFunnn that’s located at Hancock street and Cecil B. Moore avenue in Kensington! 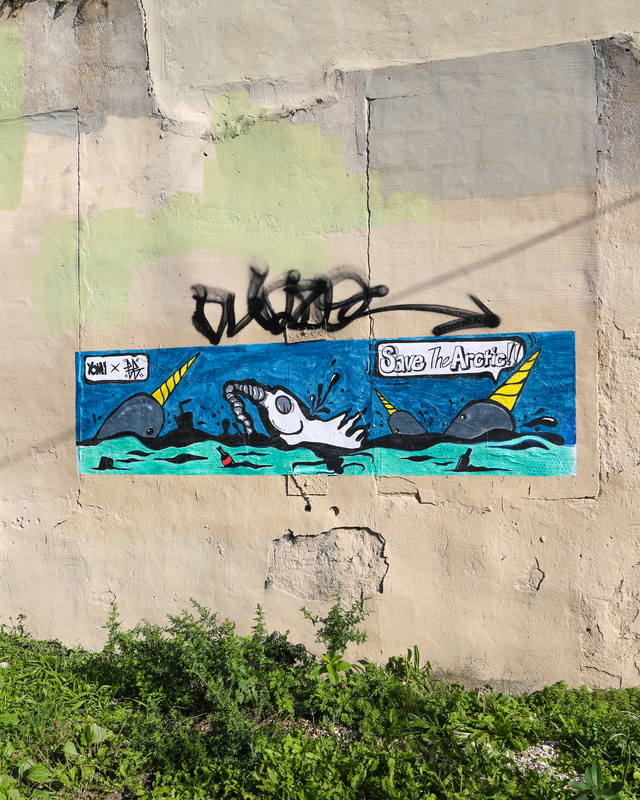 When posting about this wheatpaste to his Instagram, YOMI wrote: “The Narwhal (Monodon Monoceros,) or narwhale, is a medium-sized toothed whale that lives in the Arctic waters around Greenland, Canada, and Russia. It possesses a large ‘tusk’ from a protruding canine tooth. 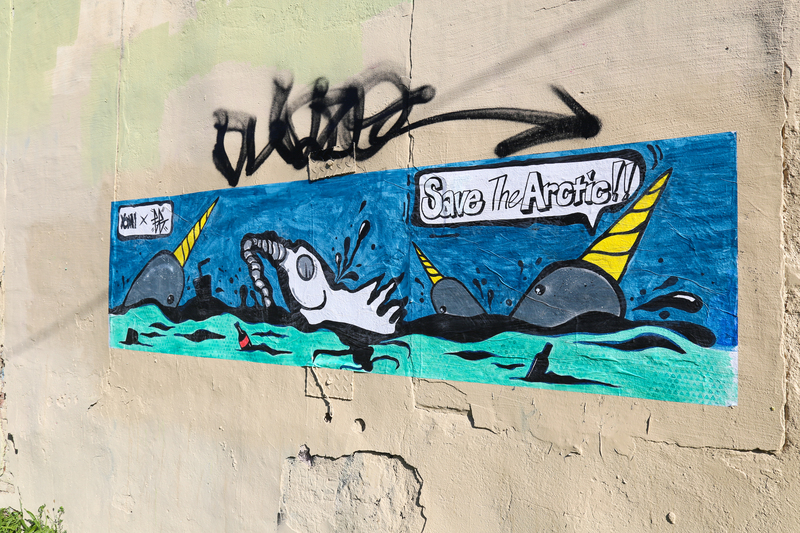 Narwhals are one of many mammals that are being threatened by human actions, and one of the most vulnerable to climate change due to altering sea ice coverage in their environment. 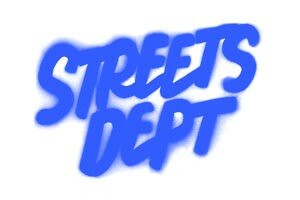 See more work from YOMI around Philly here. 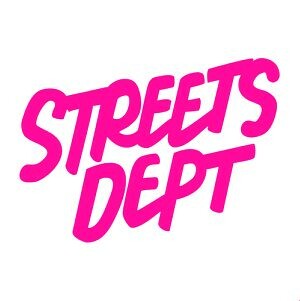 And be sure to read our interview with FaithsFunnn apart of our monthly Philly Street Art Interviews series created with Tattooed Mom here!